Series exploring animal senses beyond human perception. Sound - how alligators use low-pitch rumbles, how bats see with sound, and a hearing test for a herd of elephants. Presenters Helen Czerski and Patrick Aryee journey through the world of sound - from the deepest rumbles to the highest squeaks. Using specialised technology, they experience sounds beyond the range of our human hearing. 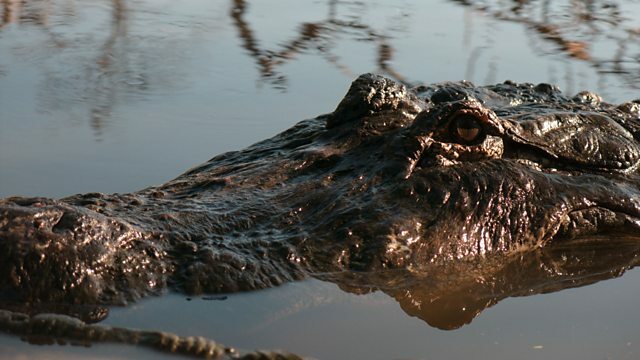 This episode reveals how alligators use low-pitch rumbles to make the water around them dance and shows what it is like to be a bat and to see with sound. Also, Helen and Patrick convert a classic camper van into a giant speaker to conduct the ultimate hearing test for a herd of elephants.